Generally, a cyclic peptide referred to in biology refers to a compound formed by amino acid peptide bonds. In phytochemistry, this concept is expanded to a class of compounds formed by amide bonds, and thus the range is expanded to include organic amines and macrocycles. Alkaloids are classified into cyclic peptides and linear peptides depending on whether they are cyclized or not. 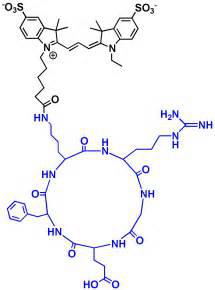 Cyclic peptide compounds have been reported to have a variety of biological activities, including anti-tumor, anti-HIV, antibacterial, anti-malarial, hypnosis, inhibition of platelet aggregation, hypotension, inhibition of tyrosinase, inhibition of cyclooxygenase, inhibition of lipids Biological activities such as peroxidase, estrogen-like, and immunosuppression. Jame P. Tam et al. established a method for the preparation of non-protected cyclic peptides by intramolecular transfer of thiolactone and Ag+ ion assisted cyclization. For a linear polypeptide with a cysteine at the N-terminus and a thioester at the C-terminus, in a phosphate buffer at pH=7, a thiol group forms a covalent thiolactone with a thioester group. This thiolactone spontaneously passes through S. The atom to the N atom acyl group migrates to form a cyclic peptide. The authors synthesized a series of Cyclo (Cys-Tyr-Gly-Xaa-Yaa-Leu) with N-terminal cysteine by the above method. In order to prevent the formation of disulfide bridge and accelerate the cyclization reaction, the reaction process was added. TCEP (tricarboxyethylphosphine), the reaction time is about 4 hours, the yield is between 78% and 92%, and no side reactions and oligomers are found by HPLC. For the cyclization of a cysteine-free linear polypeptide, the N-terminal amino group of the linear polypeptide with a sulfophilic Ag+ ion-assisted coordination flexibility forms a cyclic intermediate with the C-terminal thioester, and promotes intramolecular activation by entropy activation. Loop. Similar to the principle of thiolactone cyclization, Ag+ ions promote intramolecular cyclization through a non-classical ring-chain structure. A specific example of the synthesis of a cyclic peptide by the above method is the synthesis of Cyclo (Ala-Lys-Try-Gly-Gly-Phe-Leu). To the acetic acid buffer solution of pH 5.7, 10% DMSO was added as a co-solvent, and after 5 hours of reaction, a target of 67% yield was obtained. The cyclic dipeptide (2,5-piperazinedione) is the smallest cyclic peptide, and many natural cyclic dipeptide compounds have clear biological activities, such as antibiotics, bittering agents, plant growth inhibitors, and hormone releasing inhibitors. The particularity of the structure of the cyclic dipeptide allows the synthesis of such compounds to be self-contained, and the target substance can be easily obtained by refluxing a linear peptide ester which is free at the N-terminus in a polar solvent. Although Fischer obtained a cyclic dipeptide by aminolysis of linear dipeptide methyl ester in methanol ammonia, it was found that this method easily caused racemization. Nitecki proposes that the N-terminal free linear dipeptide methyl ester can be refluxed to synthesize a cyclic dipeptide in a mixed solvent of butanol and toluene without causing racemization. Ueda uses methanol as a solvent for reflux, and a good yield of cyclic dipeptide is also obtained. Cook et al. used 1,2-ethanediol as a reaction solvent to obtain two diastereomeric cyclic dipeptides. The yield was 64.5% . Recently, Wang Youchu reported that a series of cyclic dipeptides were synthesized with reference to Ueda and Cook. The yield ranged from 55% to 99%, and Cyclo (Phe-Pro), Cyclo (Ile-Ile) was discovered by biological activity experiments. And Cyclo (Met-Met) has a slight calcium antagonistic effect, and Cyclo (Ala-Ala) and Cyclo (Pro-Pro) show enhanced potassium-induced contraction effects. The method of synthesizing the end-to-end cyclic peptides to date has been described above. Since the number and type of amino acids contained in the precursor-linear peptide of the cyclic peptide vary widely, the method of synthesizing the cyclic peptide is diversified. Agents and methods that exhibit efficient, rapid condensation of certain linear peptides may become inefficient or ineffective for another peptide chain. Therefore, finding a corresponding cyclic peptide synthesis method based on the sequence of the target cyclic peptide must be carefully explored and worked hard.